Right now Optics Planet is running numerous holiday specials, including 35 Seasonal Promotions, 21 Coupon Offers, 27 Mail-In Rebates, and 13 Instant Rebates. Plus you can get $15 off orders of $150.00 or more with Code A1DA0E7. 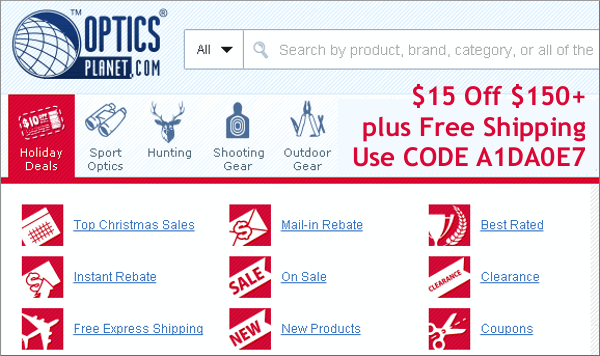 Visit Optics Planet’s DEALS Page for all the offers. CDNN Sports has some of the nicest modern Browning rifles we’ve seen. 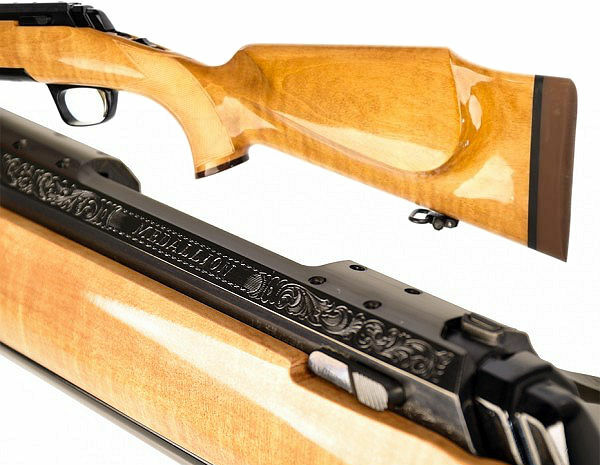 These X-Bolt Medallion Rifles feature figured Maple stocks with engraved receivers. The barrels, Octagon for the Limited models, are deep polished blue. The actions are glass-bedded and fit a detachable rotary magazine. 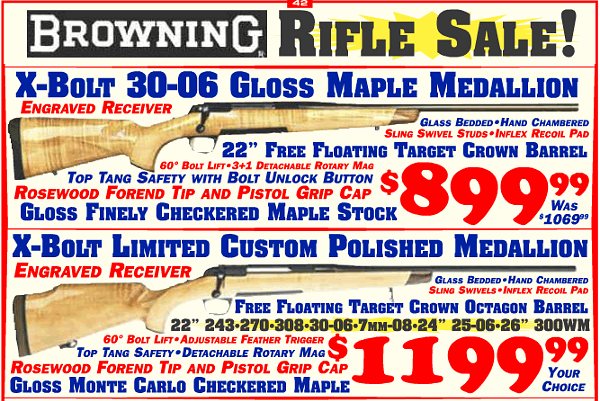 The .30-06 Maple X-Bolt Medallion is marked down from $1069.99 to $899.99. The X-Bolt Limited Editions, available in a wide variety of chamberings, are on sale for $1199.99. These are very nice rifles that any shooter would be proud to own. This RCBS Rock Chucker Supreme Master Reloading Kit contains everything one could need to produce accurate handloads. The Rock Chucker press will last a lifetime and the powder measure is durable and reliable — we know, we’ve used them for years. The RCBS hand-priming tool does the job effectively, and the balance scale can be quite accurate with some tweaking. Overall, at $299.99, this is a great value considering all that you get. RCBS also offers a rebate on this Kit. If you need good, reliable ammo for plinking or rimfire cross-training, look no further. 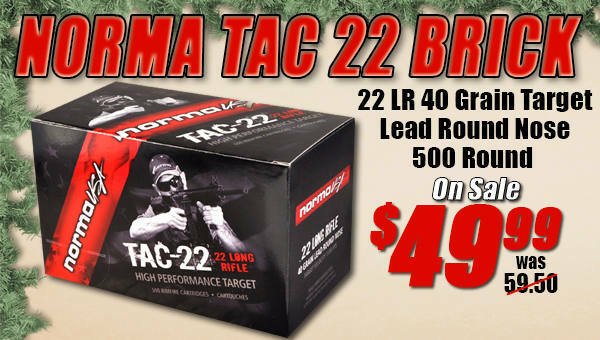 At ten cents per round, this Norma-brand Tac 22 ammo is very affordable. We’ve used this ammo for tactical rimfire matches and it has proven more than adequate. This is a limited time offer at Midsouth Shooters Supply, so don’t delay. Now through the end of Decenmber, Sportsman’s Guide is offering new customers 20% off their first order with a cap of $30.00. Use Coupon Code TAKEOFF20% at Checkout. This will knock 20% off a maximum of $150.00 in merchandise value so the total savings will not exceed $30.00. Still, that’s an attractive offer (as long as you understand the limitations). NOTE: This discount can not be used for firearms or Buyer’s Club Membership fees, and this offer may be only claimed once per customer. 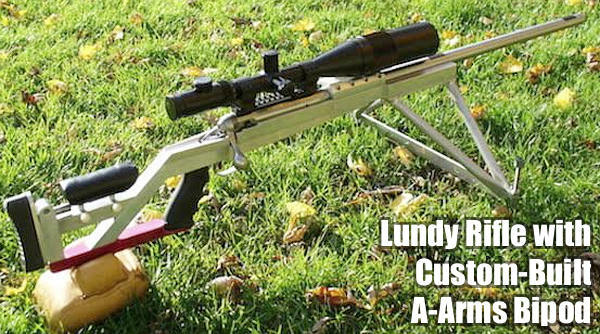 Looking to assemble an AR platform rifle for gun games, varmint hunting, or other purposes? With its AR-15 Days of Christmas promotion, Palmetto State Armory is continuing some of its best Black Friday deals throughout December. Save on complete Lowers, complete Uppers, and other components. The PSA complete lower with Magpul stock shown above is a very good deal. 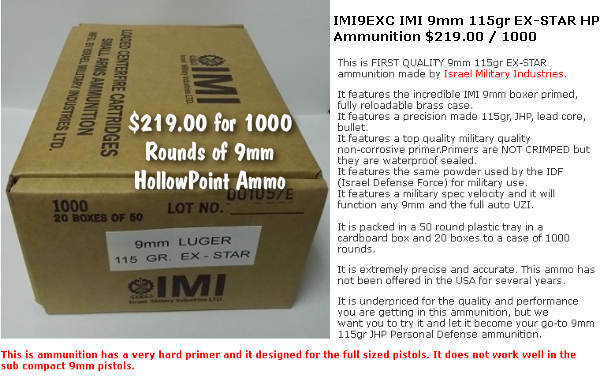 If you are looking for first-quality, original production 9mm Luger ammo loaded with hollowpoints (as opposed to FMJ bullets), this deal is hard to beat. The ammo features a quality 115gr JHP (lead core) bullet and the same powder used by the Israeli military. With mil-spec velocity, this IMI 9mm JHP Ammo is hard-hitting, yet extremely accurate. Widener’s tells us that “This ammo has not been offered in the USA for several years”. If you need a stock of 9mm defense ammo, here you go. Share the post "Bargain Finder 12: AccurateShooter’s Deals of the Week"
If you can’t buy it, then build it. Forum member Patrick Lundy was so impressed with a fellow shooter’s barrel-block rifle, that he build a similar match gun himself, complete with barrel block and aluminum chassis. We like this kind of ingenuity. Patrick was inspired by a metal stock belonging to Peter Gagne. But he added his own custom touches, including an innovative “A-Arm”-design bipod for shooting in F-TR class. The gun has been very successful in competition with Heavy Varmint contour barrels, but now Patrick is thinking of changing the barrel block to hold a 1.250″-diameter tube. Here is the story of Patrick’s home-built barrel block match rifle. I must credit Peter Gagne, a fellow shooter I met at Forbes Pistol and Rifle Club ( Albany, NY) seven years ago. Peter built an all-aluminum, barrel-block gun that I thought was the most beautiful thing I have ever seen. I have fond admiration for Peter, who used to accompany Bob Bock to compete in the long range matches at Forbes Range. I believe Peter was a retired electrical engineer with a brilliance for innovation and design. I have not seen Peter Gagne for a couple years now. Bob Bock told me this summer that Peter has been very ill I’m sorry to say. I fell in love with the look and function of Peter’s stock. I think he and I are cut from the same cloth when it comes to using our own ingenuity rather than buying it already built. From that point on Peter and I had become friends, only seeing each other at the matches we shot at Forbes. At that point I was shooting F-Class with a 6mmBR Savage LRPV in 6br with a bipod. In the spring of 2009, I drew up a detailed dimensional sketch (based on a photo of Peter’s stock) and proceeded to build a stock of similar design (albeit with a completely different rear section). I spent every waking hour of the next two weeks building my stock. 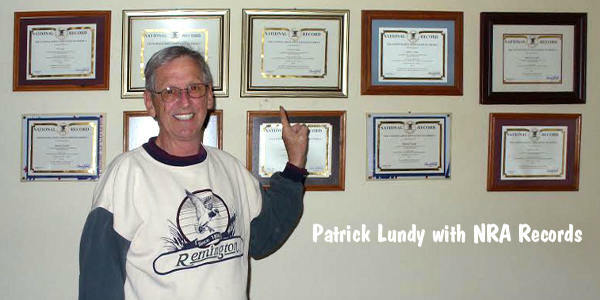 I have made a living for 48 years as welder and metal fabricator. I’m 67 years young now and still making a lot of what I need for my shooting habit. Though this stock was my first prototype it performed better than expected. This new stock was a milestone in my shooting career — it was my very first attempt to build a stock. I wasn’t much of a wood worker but I did have a talent for building with metal. The stock was fabricated from 6061 T6 aluminum. With this gun I was able to shoot from a rest or a bipod. 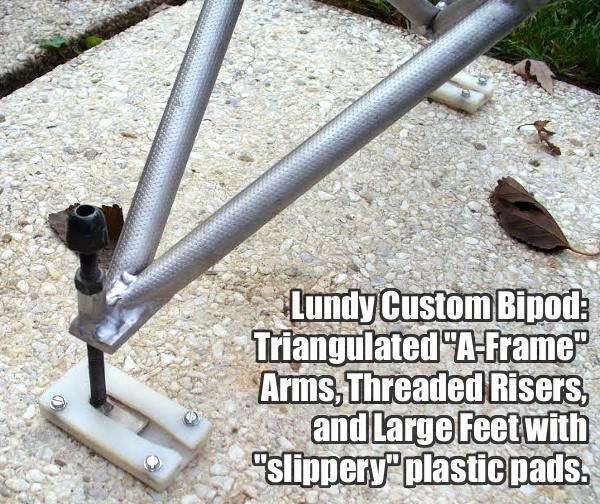 The bipod was a very rigid A-frame design with welded aluminum tubing. I added slippery feet under the pod skis to facilitate smoother recoil. I realized that a wide-stance bipod had to recoil the same on both sides or the group would string horizontally. After building that stock I felt more confident in modifying every stock I’ve owned after that. I started chambering my own barrels and building anything I needed to experiment… and to help in shooting accuracy. I even built my own milling machine to make things easier to do. The stock I built was a stepping stone to try new things not normally attempted by the average guy. For the first several years I used the AccurateShooter Forum for untold access to knowledge. I have now realized that if you really need to know the answer to a question, sometimes it’s better to figure it out yourself. I want to thank my two sons for getting me into long range shooting, and also thank shooting friends like Peter for inspiring me to try out-of-the-box experiments like this stock. This hard work and determined attitude all started with that stock and has paid off with dividends of many matches won and 10 NRA records for my wall. Share the post "Home-Built Aluminum-Stock Barrel Block Savage Target Rifle"